FROM.UZ, originally known at The Fromuz, is an instrumental prog/fusion band from Tashkent, Uzbekistan. In 2007, the band released their debut CD/DVD - 2 disk combo album entitled "Audio Diplomacy" on 10T records. The DVD is a full length concert, filmed live before an audience in Tashkent. The originating band members were Andrew Mara-Novik (bass), Vitaly Popeloff (guitar), Albert Khalmurzaev (keyboards) & Vladimir Badirov (percussion). The originating band members were Andrew Mara-Novik (bass), Vitaly Popeloff (guitar), Albert Khalmurzaev (keyboards) & Vladimir Badirov (percussion). FROM.UZ played their first concert in the West at the Baja Prog Festival, an international music festival in Mexicali, Baja California (Mexico) in March 2007. In a last minute scheduling change, FROM.UZ was moved from the outdoor venue, slated for late in the week, to opening night in the indoor State Theater. They played second in the program, following the host band, Cast. Despite having not fully recovered from jet lag from the long trip from overseas, Fromuz played a dramatic set which won rave reviews from those in attendance. The band's sophomore release, "Overlook," was released in September 2008. All four of the original members returned for this release, their first studio album, following their live DVD/CD debut. "Overlook" consists of 5 tracks, and clocks in at just under 70 minutes. Like their first release, "Overlook" is entirely instrumental. In 2008, original members Andrew Mara-Novik & Vladimir Badirov left the band and were replaced by Sur'at Kasimov (bass) and Ali Izmailov (drums). An additional keyboardist, Igor Elizov became the 5th member. 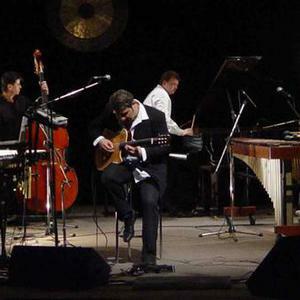 The new FROM.UZ wasted no time in preparing and performing new compositions by Vitaly Popeloff in two performances in Tashkent, September 2008. These songs have now also been recorded in the studio and will be the band's third release, "Seventh Story." In July 2009 Surat Kasimov left the band and Albert Khalmurzaev started playing bass. And finally in September 2010 Ali izmailov quits. In 2011 band released their fourth album named Quartus Artifactus.